Until my trip to Kyoto and Osaka, my only visits to Japan had been to Tokyo. 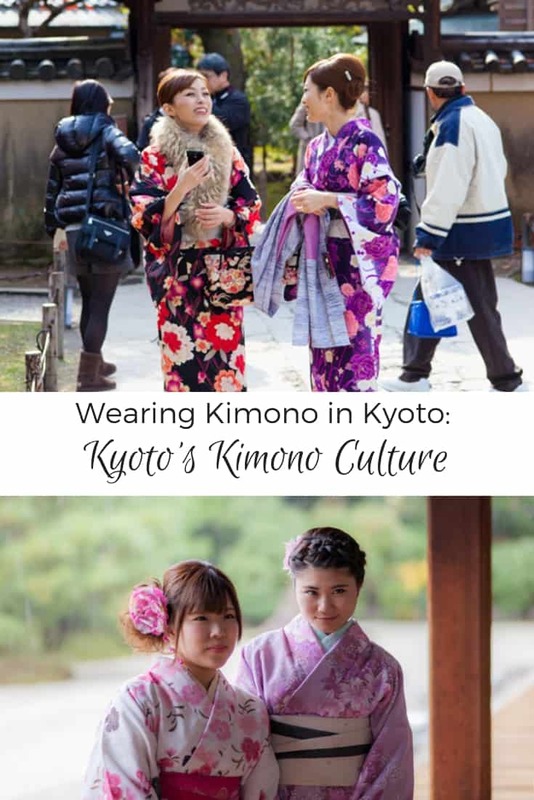 During my many visits over the years, I had seen women wearing kimonos but really had no idea about the traditional garment, other than how beautiful it is. I saw so many people wearing a kimono in Kyoto, it was such a visual delight everywhere we went! While researching for my trip to Kyoto I learned that the city was the ancient capital of Japan. Also, that Kyoto has hundreds of temples and shrines, which served as Japan’s main seat of government from the 8th to 17th centuries. People such as the emperor and his family, shoguns, priests, and politicians required beautiful clothing and Kyoto, therefore, became a major center for the textile industry, and by default the center for kimonos. 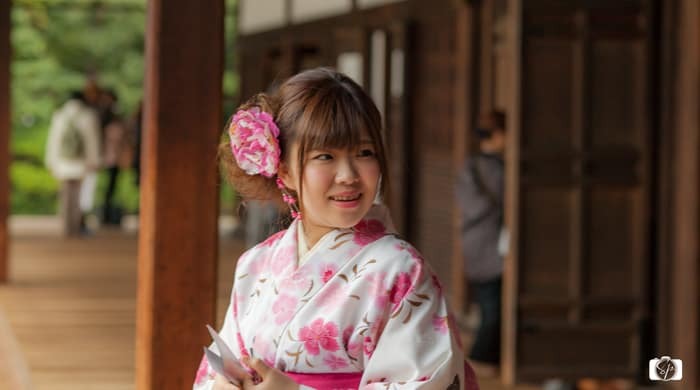 Currently in most of Japan, kimonos are mainly worn for special occasions such as official holidays, however, Kyoto remains one of the few cities where people wearing a kimono can still be seen frequently. However, after discussing the topic with Gavin (our docent from our Kennin-ji Temple tour) its seems that kimono-wearing is very much in decline in Kyoto. 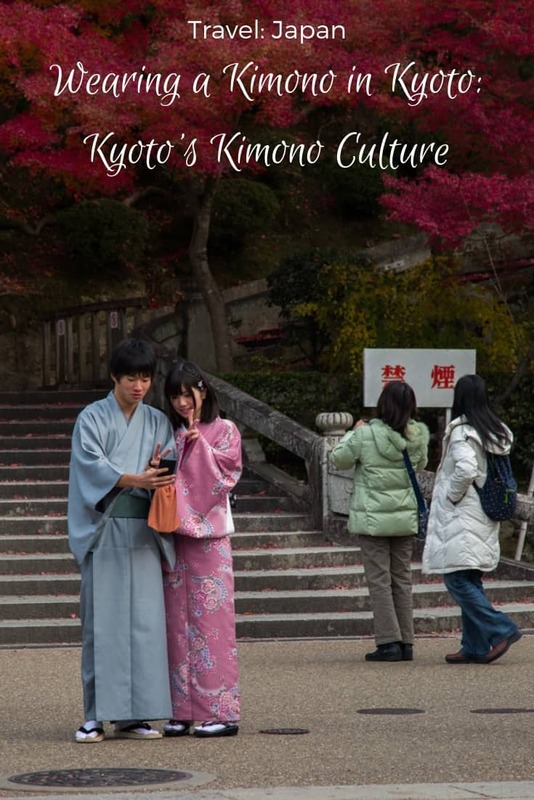 The world is changing, with Starbucks and anime; and Kyoto’s own “millennials” see fewer opportunities to wear kimonos. 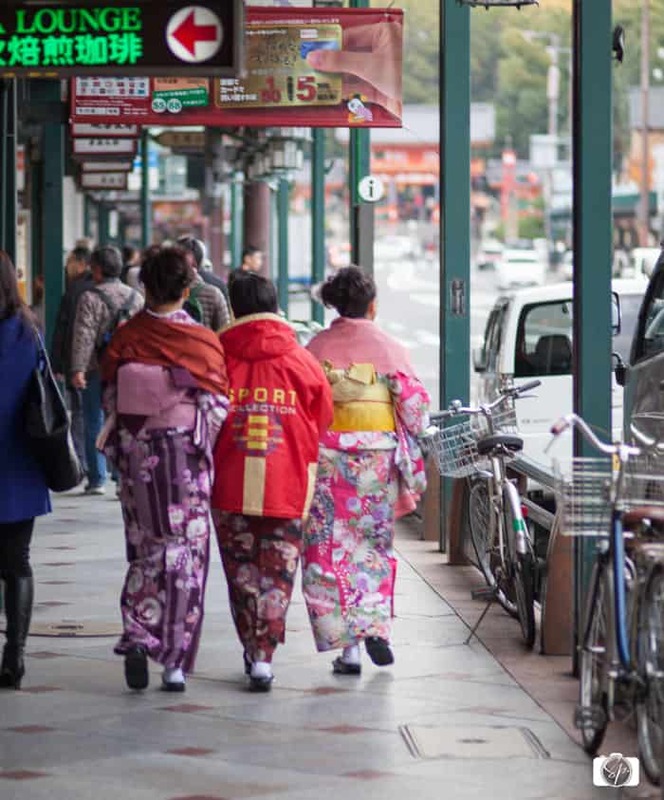 In order to safeguard the traditional industries and retain the artistry involved in this cultural icon as well as to promote Kyoto’s heritage, the city officials developed programs that encourage people to wear kimonos more often. Many temples, museums, transportation methods such as the subway, now offer discounts to [men] and women wearing kimonos. Restaurants are now doing the same. And for not only residents as well. Tourists are encouraged to rent (or buy) kimonos to wear and receive the same discounts. 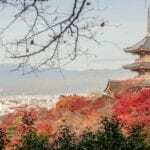 Renting a kimono in Kyoto is pretty easy to do, here is a listing of a few spots that rent them. Above and beyond the discounts you’ll get while wearing one, they make beautiful photos! Every time I saw people wearing kimonos, I could not help but to stop and stare (and photograph). These are truly mobile works of art. For a little more reading on the art of it all, here is a great slideshow from the New York Times and an article on one of the master artists from the Washington Post, I encourage you to check them out. Even the very “simplistic” kimonos worn by the priests were beautiful in their austerity. Of course, as with anything, the higher up the food chain (even the religious one) the “uniform” becomes a little fancier. 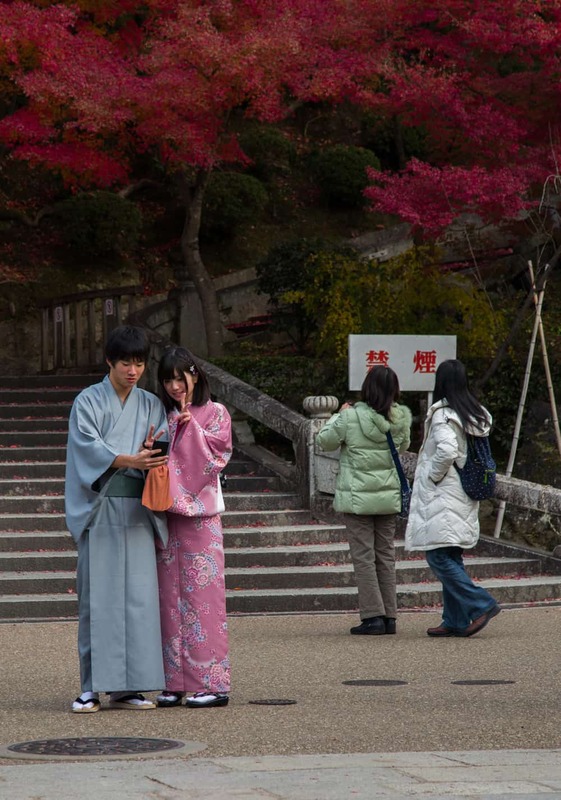 But one thing is for sure, the “selfie” is a global phenomenon, especially when you are wearing a kimono! If you are visiting Kyoto and want to learn more about the history of the kimono, visit the Kyoto Museum of Traditional Crafts where you learn about the different types of kimonos, the dyeing techniques, and the painting styles. You can also try your hand in dying one yourself at Marumasu Nishimuraya (I didn’t get to do this and want to next time!). 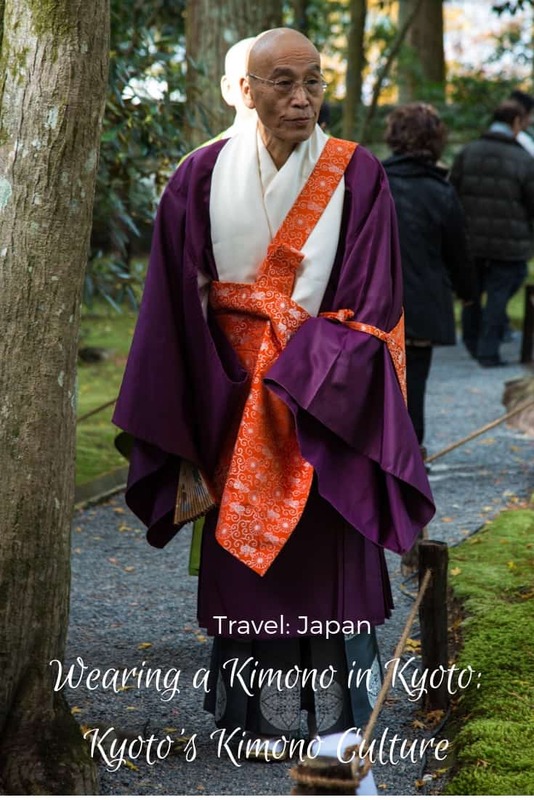 Also, if you visit and are interested in buying a kimono, I found this great post from a local Kyoto blogger on where to go. 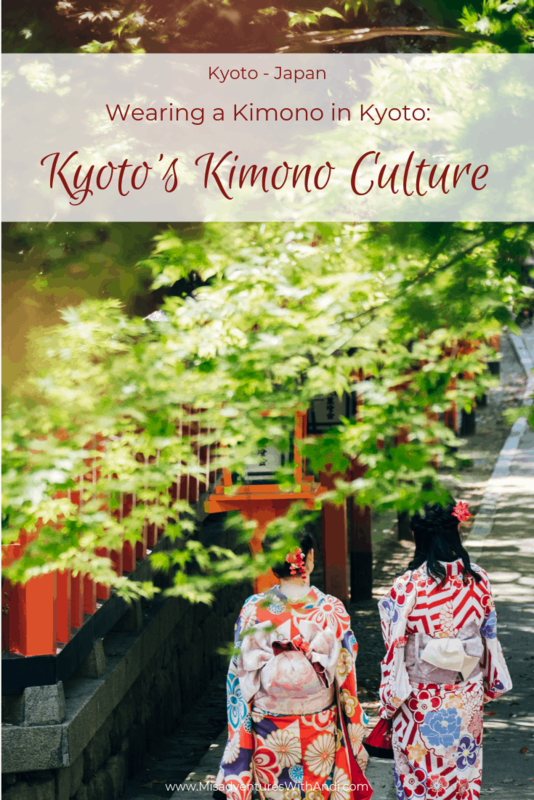 Looking for some spots to wear your kimono in Kyoto? 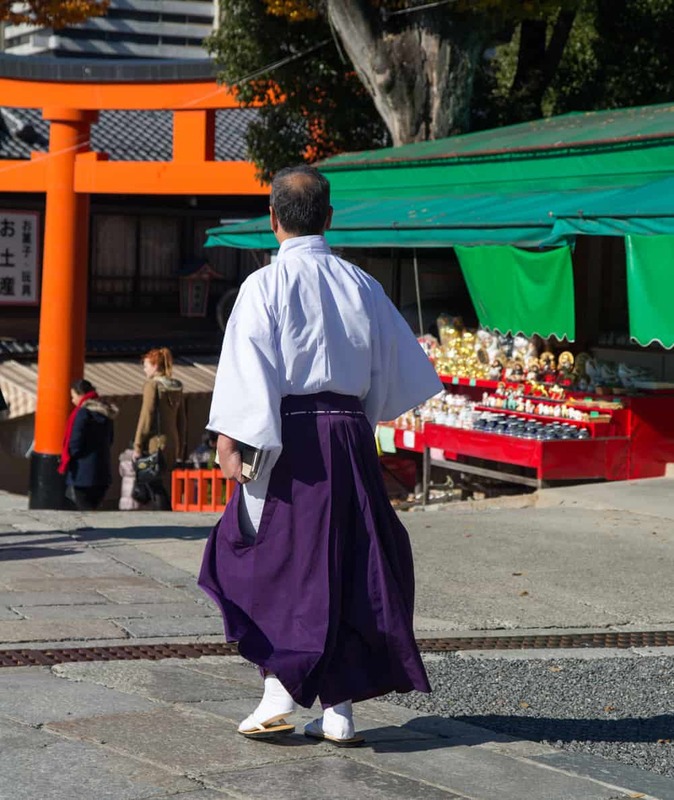 How about Fushimi Inari Shrine, Kiyomizu-dera Temple, or the Nishiki Market? Not only in Kyoto, but in Osaka or Tokyo as well. 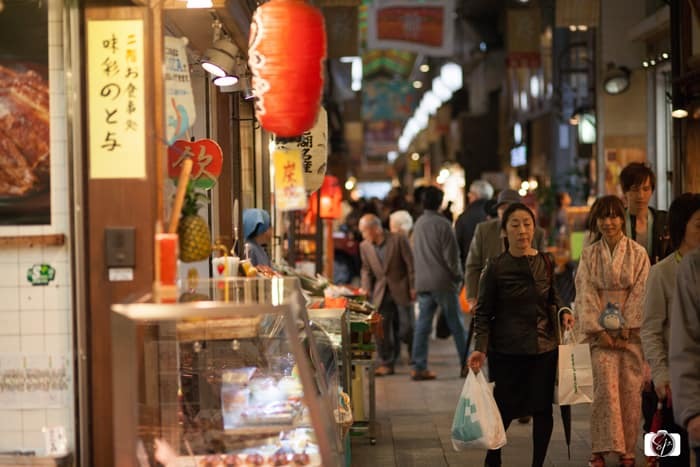 In spots like the Osaka’s Kuromon-Ichiba Market, you’d fit right in! How about you? Have you ever seen a kimono in person? I have never seen a kimono in person or anyone wearing one. I think they are so beautiful. Many moons ago my Uncle was in the Air Force and stationed in Okinawa Japan. One year for Christmas he sent my Mother & I a kimono. I just loved it. I felt so dainty & exotic while wearing it. I want to tell you that your pictures are absolutely wonderful ! Thank you for sharing your adventures with us. I have never seen a kimono in person. I think they are beautiful. I love this, Andi! 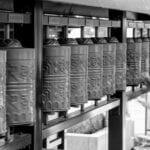 Fantastic photos and fascinating history. 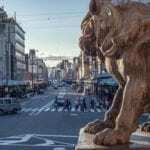 I hope they can preserve this patrimony! Kyoto just got bumped up a few notches on my Bucket List. Thank you for this piece. I have not seen kimono in person. They are so beautiful. I don’t know if I would be able to pick just one. Thank you for sharing this post with us. I love the kimonos in Japan. They have different kimonos for the different seasons as well. We saw the most kimono wearers during festival season (many of the festivals take place in August). Also, the yukatas (lightweight summer kimonos) were super popular. I bought baby yukatas for my nephew and goddaughter and luckily those are a lot cheaper than kimonos! Thank you for such a lovely post. I learned so much. And got to see so many colorful and pretty kimonos. For example, I didn’t know that there were kimonos for men. I thought only women wore them! I would love to travel to Japan some day. You are so lucky! So interesting! I have a passion for textiles and your photos are magnificent. I want one of each! 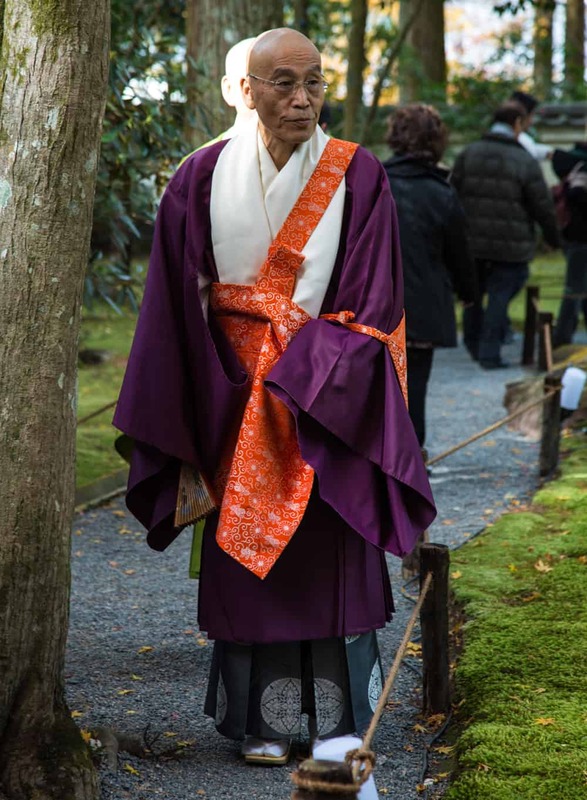 Even the priests’ relatively plain kimonos- that shade of purple is so lush. Thank you for a look into another way of life.